TRUTH ABOUT CAREER & FINANCE 45+ Yrs Exper. My Clairsentience, Guides and the Tarot allow me to trace energy signatures for you. I'm a consistent 5* Advisor. Call me for confidential readings that reveal honest details you won't forget. On Keen since 2001. I became aware of my abilities as a small child, and have been in tune with the spirit world all my life. As I grew my interest in nature-based teachings grew with me leading me into independent studies around spiritualism and paganism. Later, while in college I took up the study of world religion and philosophy. I also continued independent studies with a variety of private teachers in shamanic and indigenous spirituality. It's been my honor to be serving as a spiritual teacher and reader for over 5 decades and since 2001 here on Keen, I will be honored to serve your needs too. I work on a multi-level basis utilizing my clairsentience to trace the energy signatures around your issues. I invite my Guides to join me if they have insights they wish to add to what I'm picking up on. I also like to employ the Tarot as well as my pendulum for a well-rounded and multi-dimensional perspective on your matter of concern. Love Ya Lady! I always appreciate your input. Honest and a true seer. Was able to name characteristics of people around me as if she knows them. A new favorite. CinnamonMoon has been a user of Keen since 2001. 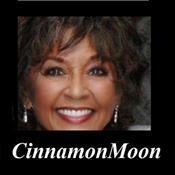 Getting Financial Outlook advice from CinnamonMoon through www.keen.com is safe, secure and confidential.